Together with colleagues from Free University of Amsterdam, the Helmholtz Centre for Environmental Research, the Universities of Freiburg, Bonn and the KIT we identified blind spots in ecosystem service research that might hinder the generalization. Details can be found in a recent journal paper. The analysis was structured along five facets that characterize the holistic ideal of ecosystem services research: (i) social-ecological validity of ecosystem data and models, (ii) consideration of trade-offs between ecosystem services, (iii) recognition of off-site effects, (iv) comprehensive and shrewd involvement of stakeholders, and (v) relevance and usability of study results for the operationalization of the ecosystem service concept in practice. Results show that these facets were not addressed by the majority of case studies including more recent studies. 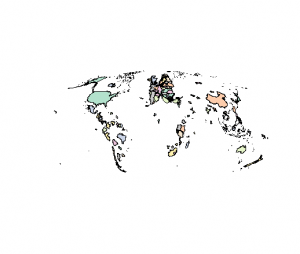 Geographic coverage of ecosystem service studies was uneven – large parts of the global south are underrepresented which is in contrast to the large value that their ecosystems produce. Coverage of the different ecosystem services wass uneven – this leads potentially to suboptimal decision making since important ecosystem services stay unevaluated. Uncertainty of model results was often unquantified. Validation of model results was missing frequently. Assessments concentrated on the current situation ignoring future developments. Most studies did not provide specific recommendations for decision making or environmental management. Off-site effects were rarely considered. Mapping of ecosystem services relied in many studies on land use composition, ignoring the important aspects of land use configuration and land use intensity. Aspects of the demand for ecosystem services (beneficiaries) were analyzed in a minority of studies. Stakeholders were only involved in about 40% of the studies. Trade-offs and interactions between ecosystem services were only analyzed in a minority of the studies analyzed. 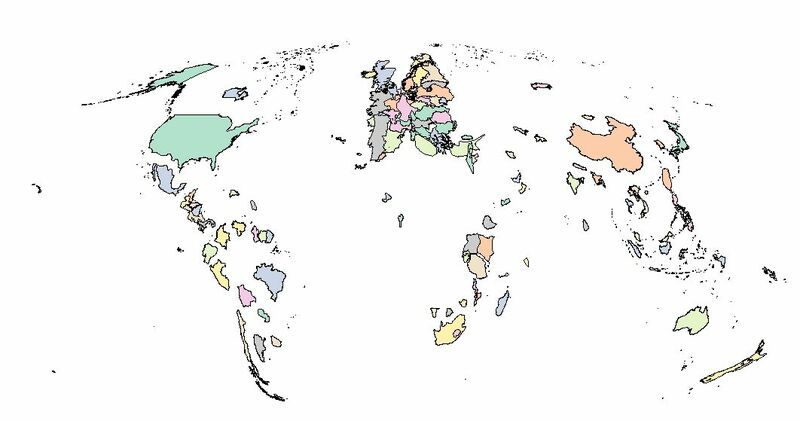 DIstribution of ecosystem service studies at the country level. The size of the countires reflects the number of ecosystem service studies in the analyszed sample (n=504). Countries that were not included in our sample or not displayed. It is clearly visible that the EU, the USA and China are relatively well studied while many countries in the global south are not well represented. To effectively operationalize the concept of ecosystem services, the blind spots need to be addressed by upcoming studies. Therefore, we provided a list of critical questions to raise the awareness of the blind spots both for synthesis of existing knowledge and for future research agendas. Clusters of ecosystem services studied together were prone to different blind spots – learning across those research clusters might offer potential for improvement.